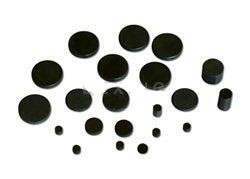 TCM Magnetics manufactures neodymium magnets made of permanent magnet materials, supply HAST magnets, N52 neodymium magnets. History in Magnetic Field. Customizable Products. Don’t see what you need? We can help. Ask our experts about a custom magnet for your prototype, invention or specialty project. 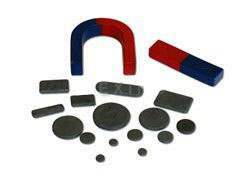 ..to your best source for incredibly strong neodymium rare earth magnets. If you are new to our site, we're glad you found us. We hope we can fill all of your neodymium rare earth magnet needs. 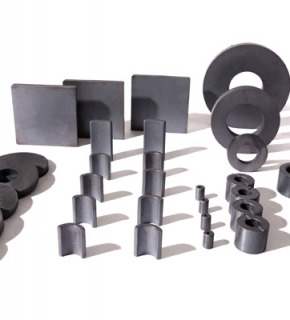 Ferrite Magnets are Sintered magnets (ceramic magnets) made from ferric oxide, a raw material which is abundant in supply, thus a steady flow of Ferrite magnets can be ensured at a reasonable price setting, in fact the lowest price among competing products in the market today. Due to its high-coercive property, there is a smaller chance of demagnetization, and they are suitable for being used in flat forms. The magnets are produced by pressing a fine-powder of ferric oxide in a mold and heated in a furnace at approximately 1200 degrees Celsius. They are resistant to corrosion and fit for mass production. 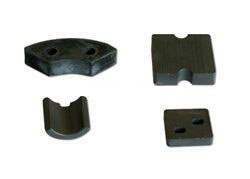 Ferrite magnets can be classified into two categories: Anisotropic Ferrite and Isotropic Ferrite. High coerciveness makes them less likely to demagnetize. Least expensive material compared to alnico and rare earth magnets. Lower service temperature than Alnico, greater than rare earth. 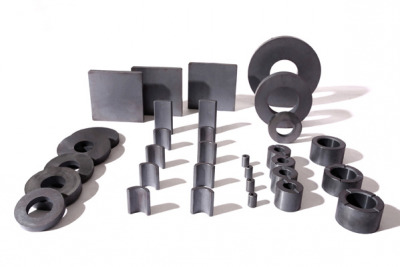 Similar to other ceramics ferrite magnets are brittle, but since they are made by molding powdered ferric oxide they are fit for mass production. Used in magnetic assemblies designed for lifting, holding, retrieving and Separating. Separators (Separate ferrous material from non-ferrous). Magnetos used on lawnmowers,and outboard motors. 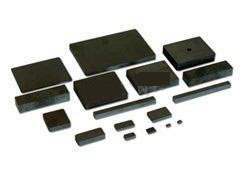 Ceramic (Ferrite) magnets are very resistant to corrosion. 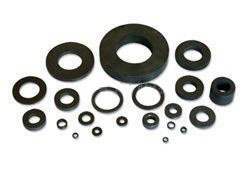 Coatings can be applied for cosmetic reasons or to reduce the fine, ferrite powder which is associated with ceramic (ferrite) magnets.